Are you willing to make money by doing what you already do every day? Or are you thinking of a way to make money online? Or even how to work from home with your mobile phone? Here’s a solution for you, a list of 20 apps that can earn you money by just doing what you already do every day. It is time for you to become financially free. By exploring the use of these apps, you can earn yourself some bucks and by taking advantage of this opportunity you’d be glad you did! Below is a list of 20 mobile apps that work for both IOS and Android that can earn you money. With this app, you get paid for doing things that are fun. You only need to take photographs of displays at the stores, test mobile apps, also do some mystery shopping or even review delivery services. You will always receive notifications when there are new jobs available in the area. This app allows you to earn rewards via store check-ins, scanning various products and also when you make purchases. You redeem your points for gift cards, music downloads, movie tickets and Facebook credits. This app also provides you with discount offers. All you need to do is to take a minute to scan the barcodes when you check in at a grocery store. With this app, you get paid in rewards which you can also redeem for iTunes and Amazon gift cards and Alaska airline miles. One good thing is, you will never be short of deals. With this app, you get paid for meeting people. Install it on your phone and scan a QR Code when you meet up with a person. You can cash out the points you have earned. Here, you test your skills by naming your predictions for each game. Make sure you get the most winning streak of the month. For a tougher challenge, predict for 10 different sports and try to maintain your streak. The highest winning streak for a team will walk away with the monthly grand prize of $50,000. Just preview video trailers of an app and get points. That is, just watch the videos and get paid for it. Payments are made via PayPal or Amazon gift codes. This is an app that pays you for your opinion and so, provides you the opportunity to state clear, your own idea about a particular topic. You earn money each time you complete a survey. You can also view the results of other respondents. Here, you get to play games or watch videos or even complete surveys to earn rewards. You can also earn more when you invite your friends to use the app. You earn rewards when you check in to your favorite shows the anytime you sit down in front of the TV. You watch live TV that comes with real-time interactive questions, you take part in polls and also voting related to what is happening onscreen. For more rewards, you need to play games, watch videos or take part in the quizzes. With this app, you get paid for taking photographs of your receipts and also earn points for every receipt. You can redeem your coins for cash and donations. Earn points for staying logged in for at least 15 minutes of exercise. When you go to the gym or work out outside, check in with this app and have your phone on yourself so that it detects motion. The more points you collect, the higher your rewards. Panel App collects your location data for the purpose of analytics. This data collected is then pooled with data collected from thousands of other panelists to give third-party companies meaningful insight. You can also earn more points for taking surveys. Your points can be redeemed for Amazon and Visa gift cards, Cash via PayPal and more. This app allows you to earn cash when you go to places and scan the selected products. You can also earn cash when you take surveys or watch videos. This app is a live social game that rewards fans when they watch sports shows on TV. You simply check in to a game on Facebook and play along with the action and win stuff after that. Start earning cash for your valuable opinions when you use this app. 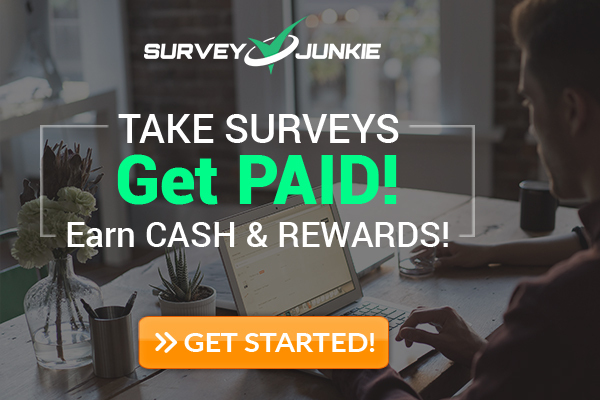 Take part in the surveys and get paid. Worry not as your information is kept safe and protected. Payments are via PayPal. Here, you will have to select the products that you are buying when you shop and then earn money by completing some tasks associated with the products you bought. With this app, you get to link your grocery store loyalty cards and then you get to enjoy some savings when using this app at checkout. With this app, you earn reward points for taking part in market research surveys topics which ranges from movies, technology to specific research panels with your mobile device. All you need to do is to take photos of food and fashion products and trends. Just take photos according to your assignment. You earn money for each photo and then write a comment about your snapshot. Just commit to the number of days you want to exercise and check in with this app the next time you hit the gym. Whenever you fulfill your commitments, you earn cash rewards that are paid by those who did not work out. With these apps listed above, you can make enough money online to clear some bills without any stress. Make use of the apps, and begin to earn money.